You know what’s better than brunch? DOUBLE BRUNCH! You heard me. 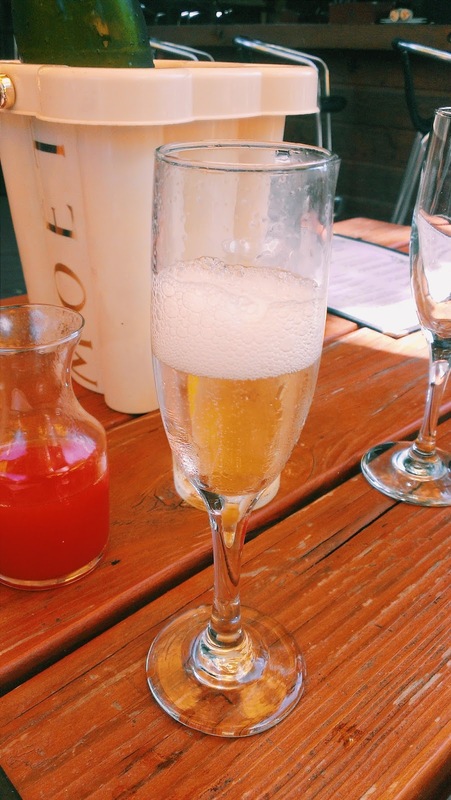 Brunch on Saturday and brunch on Sunday. Brunch for days. That’s exactly what I did the other weekend and it was glorious. 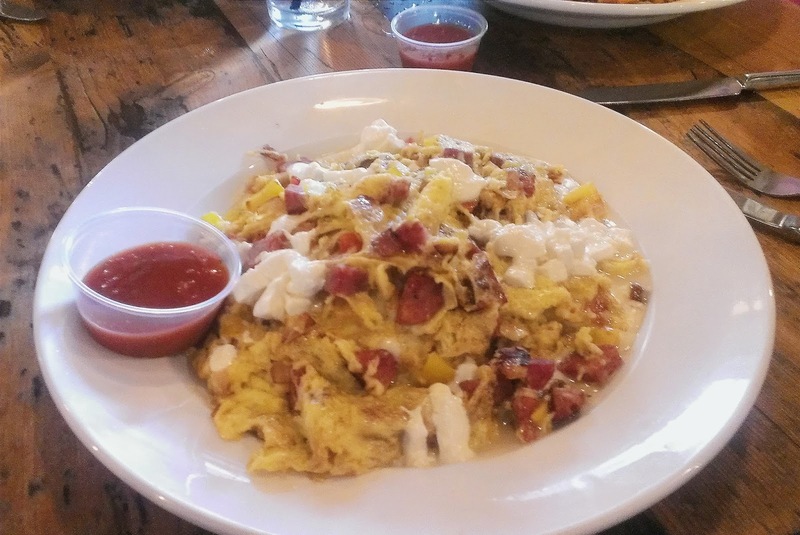 Both the places I went are in Uptown, admittedly probably the best location in Dallas to have brunch. I’m not an Uptown girl, nor do I live in an Uptown world, but I will visit to eat there sometimes. Little known fact, in Klyde Warren Park on Saturday mornings there are a bunch of free workout classes. I found this out via D Town Sweat. On the last day of the month they post a calendar of free workout events all around Dallas, and who doesn’t love free? Alex agreed to go with me and we planned on doing the 9 AM Bootcamp followed by the 10 AM yoga. At 9 AM it was already blistering hot and terribly humid so by 9:15 we knew that yoga wasn’t going to happen. The class was brutal, but it’s a workout. After that we grabbed Alex’s roommate and walked over to Company Cafe. 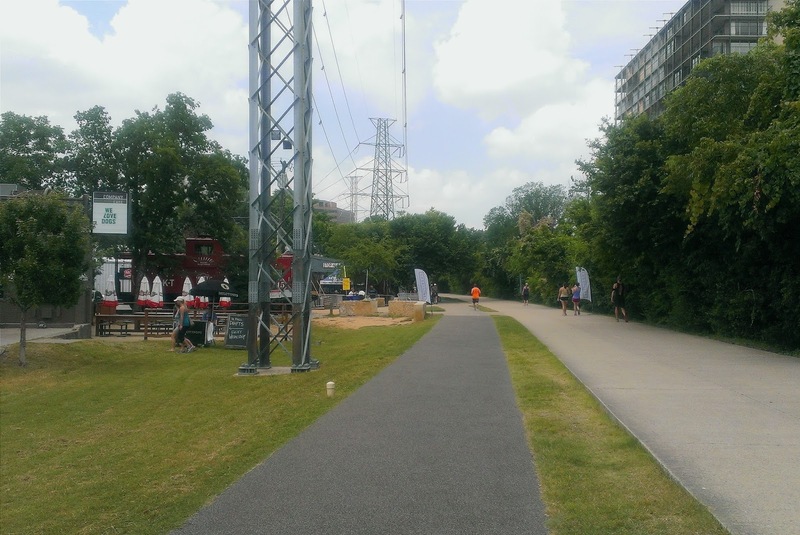 Walked because Company Cafe is right off the Katy Trail. Couple of pluses to Company Cafe. Everyone was there in workout clothes so you don’t have to feel pressured to get super fancy or “Uptown Pretty” as I call it. Also, it’s a farm-to-market type restaurant, so all the dishes were fresh with quality ingredients. 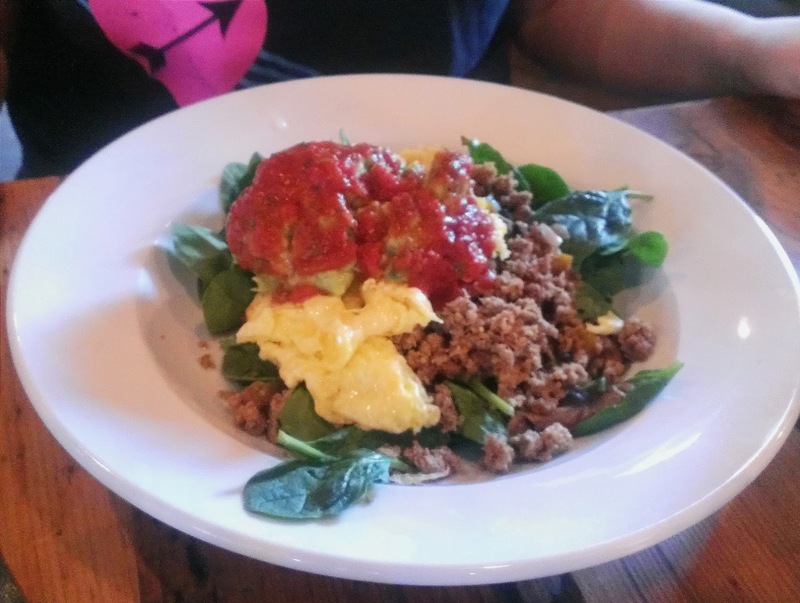 It’s buffalo meat and scrambled eggs over a bed of spinach, onions, peppers, mushrooms, with some guac and salsa on top. If you sub-out buffalo meat with turkey, because I assume buffalo meat is hard to find, you can easily make this dish at home. 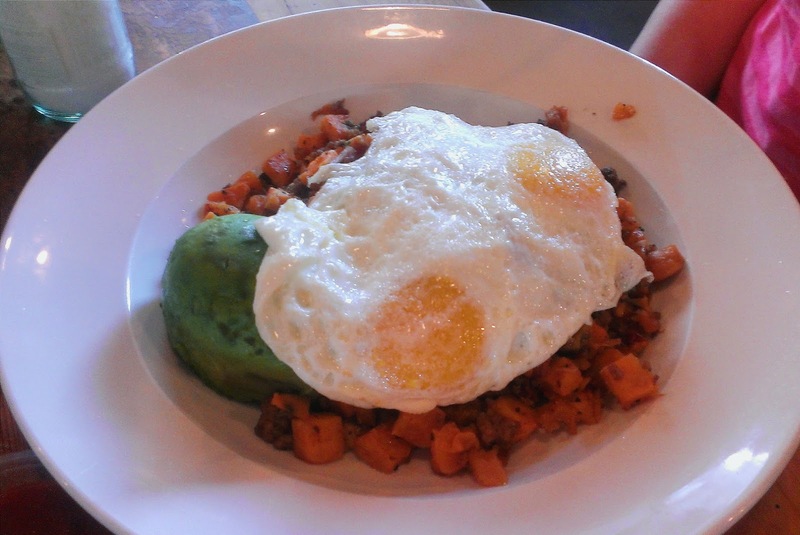 This was sweet potato hash with bacon and beef, topped with avocado, two eggs and salsa. Another dish easily replicated at home. The Yard Sale is an egg scrambler with bell pepper, onion and giant chunks of mozzarella and either venison or turkey sausage. Naturally I went with venison because I love that deer meat. But I put all this over biscuits and gravy mimicking a Panhandler from Old Went Cafe in Denton. All this food was deserved after that workout, plus the walking to and from Company Cafe on the Katy Trail. Sunday Alex and I were supposed to meet up with a couple new Instagram Girls for an Insta-Brunch (if you will) and Boxwood Tap and Grill. The girls didn’t end up making it so it was just Alex and myself. This place was so cute. It’s right on the corner of Thomas Ave and Allen Street. 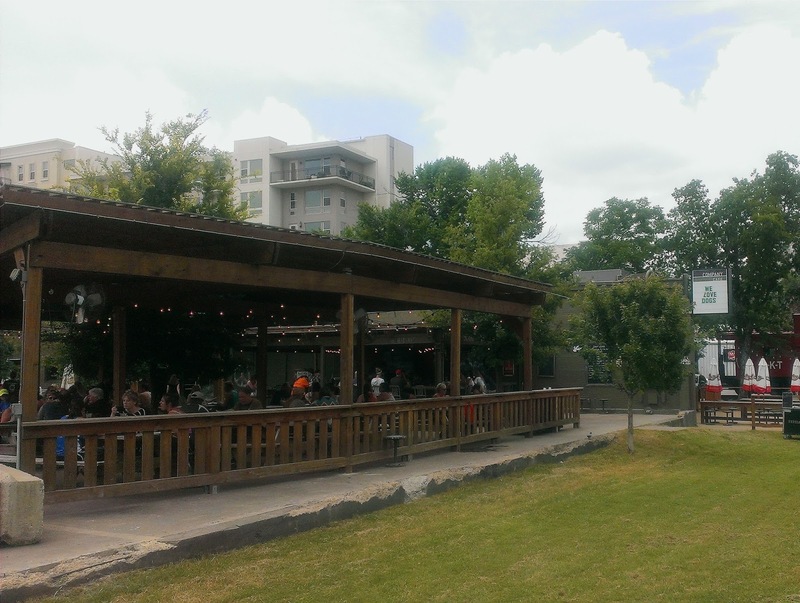 It’s in a mixture of residential and shops so you have a nice view from the patio. The patio itself was like a little oasis. 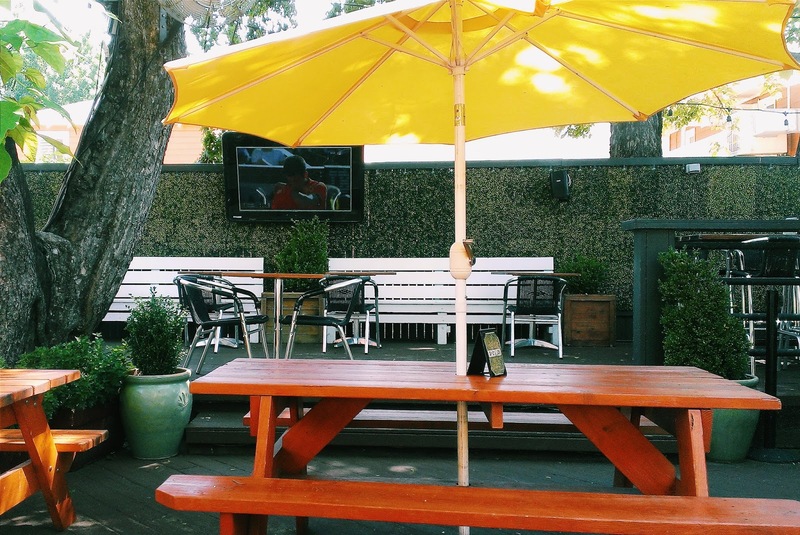 With ivy growing on the walls, misters outside to cool you off, picnic tables with umbrellas for shade and TVs along the wall. It’s a great little get away. Since it ended up being just Alex and I we got ourselves the Mimosa Trio. That is a bottle of champagne with three seasonal juices. We had the classic orange juice, strawberry-kiwi, and white cranberry. I prefer non-traditional juices for my mimosa when given the opportunity so I was hitting the strawberry-kiwi and white cranberry. Neither of us were overwhelmingly hungry so we decided to split the chicken fried chicken. 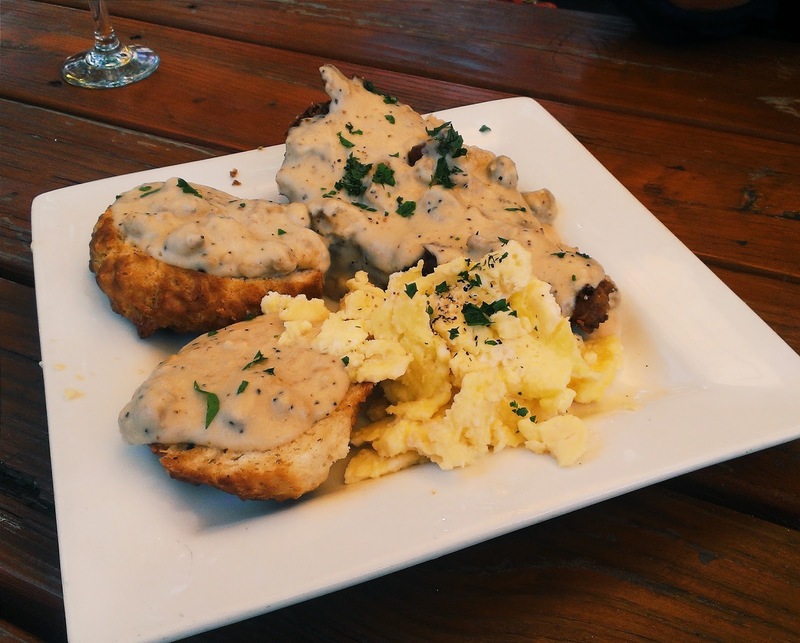 We had the chicken fried chicken, which was fresh out the fryer hot topped with gravy, scrambled eggs, and cheddar biscuits topped with gravy. Basically everything was topped with gravy. No problem with that. The gravy was delicious. The cheddar biscuits were not Red Lobster but they were still good. Red Lobster cheddar bay biscuits are hard to beat though. One person could probably eat the dish but you would have to be hungry. It was the perfect size to split between two people. At the end of this weekend my blood had been replaced with gravy. Thick, delicious gravy. #NoRegrets. 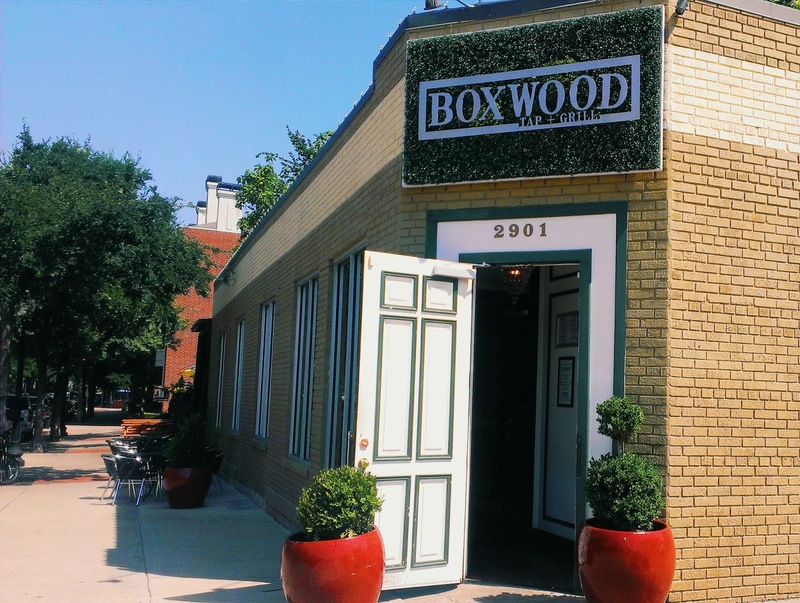 If I had to pick one over the other it would probably be Boxwood just because of it’s patio, but it’s hard to call because the food in both places was incredible.